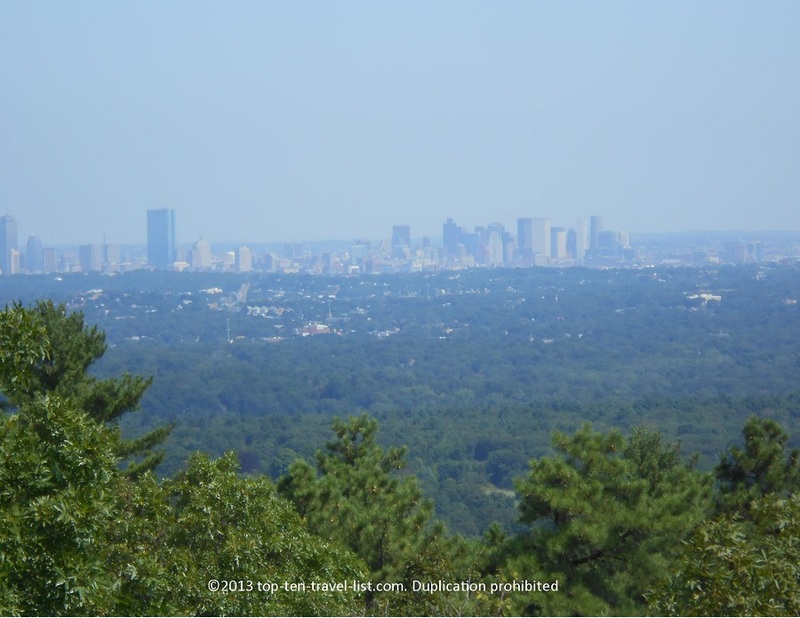 Boston Skyline Views: A Hike through Blue Hills Reservation - Top Ten Travel Blog | Our experiences traveling throughout the US. 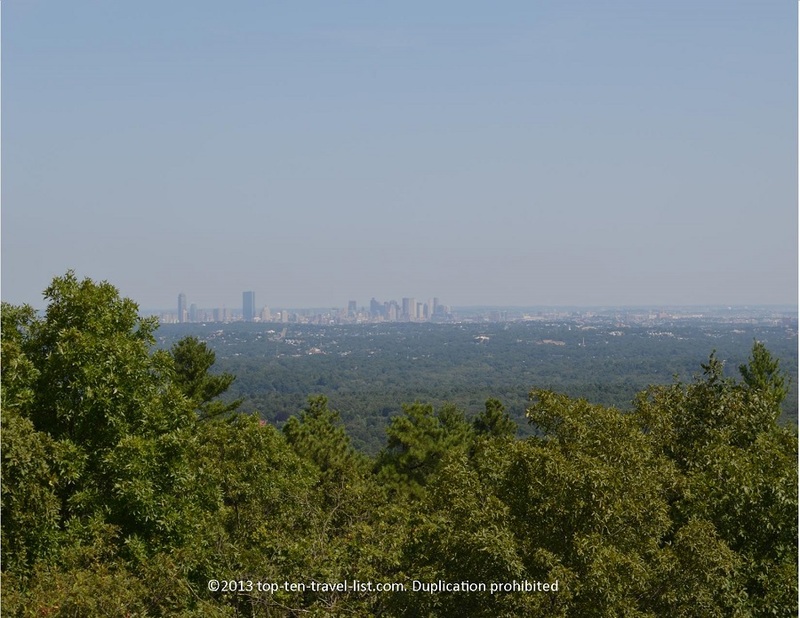 On our second visit to Blue Hills Reservation, a beautiful 7000 acre hiking oasis in Milton Massachusetts, we decided to hike the popular “Red Loop Trail.” This scenic trek takes you to an observation tower with great views of the city. 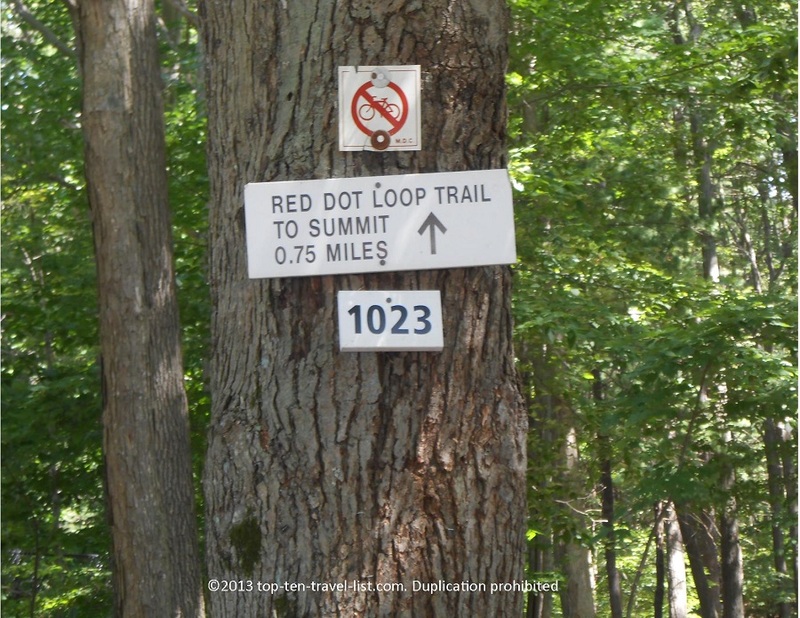 Parking at the Trailside Museum Lot will take you right to the start of the Red Loop Trail. 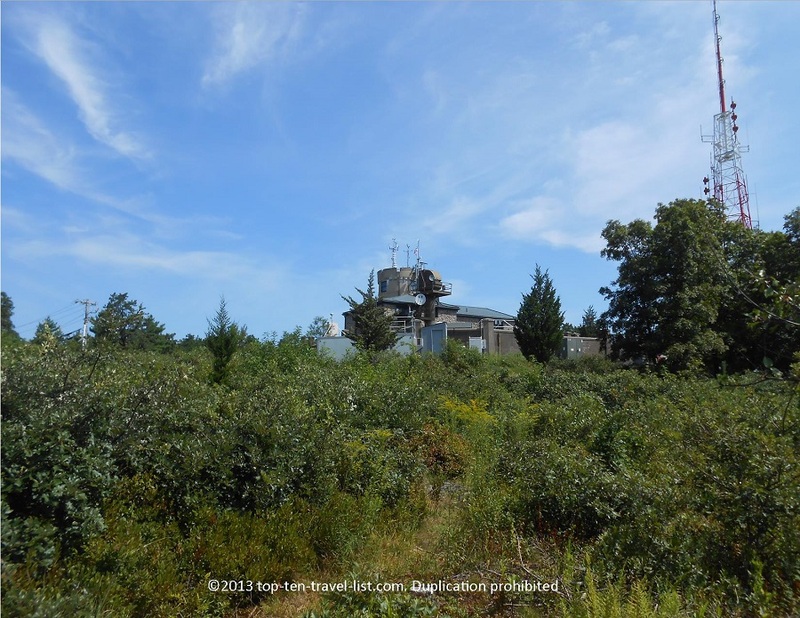 This steep 0.75 mile climb up to the Elliot Observation Tower is short, but pretty strenuous, providing a fabulous workout! 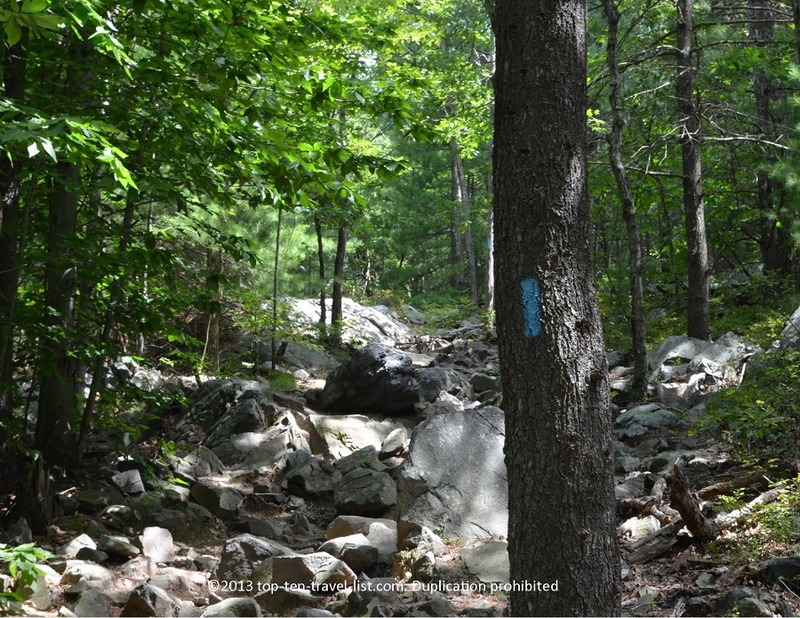 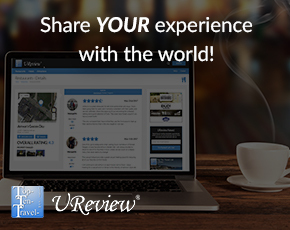 Check out these gorgeous views we took of both the skyline and surrounding forests. 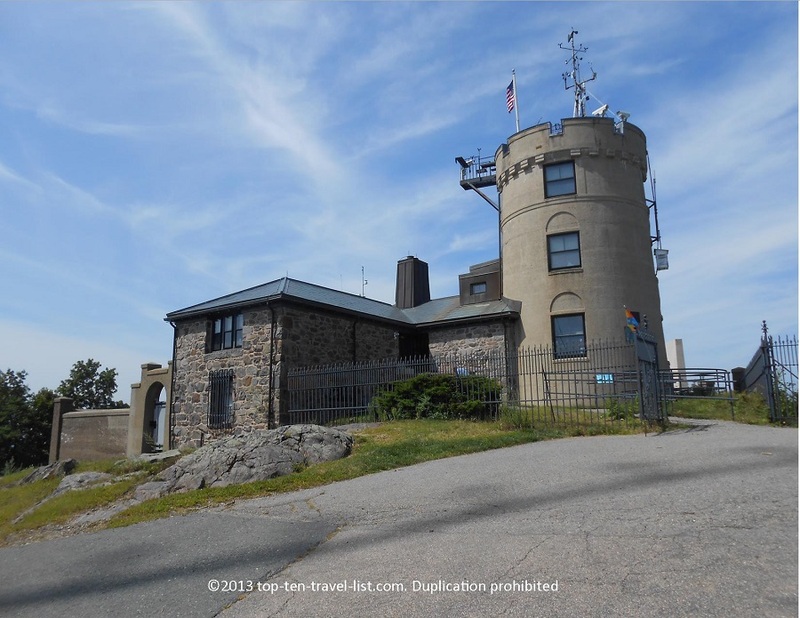 From the observation tower, you can walk an additional 0.3 miles or so over to the Blue Hills Observatory, the oldest weather recording station still operating. 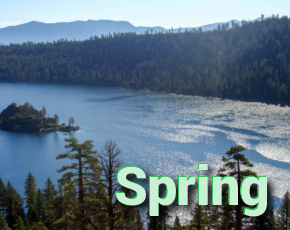 You also have the option of paying $3 to enter the lookout tower. 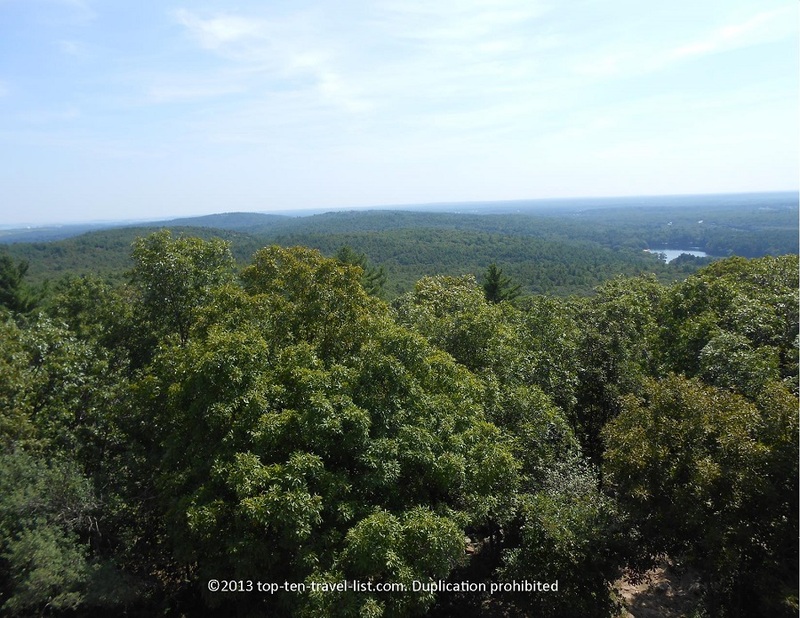 We were satisfied with the views from Elliot Tower, and therefore, decided to skip the weather observation tower. 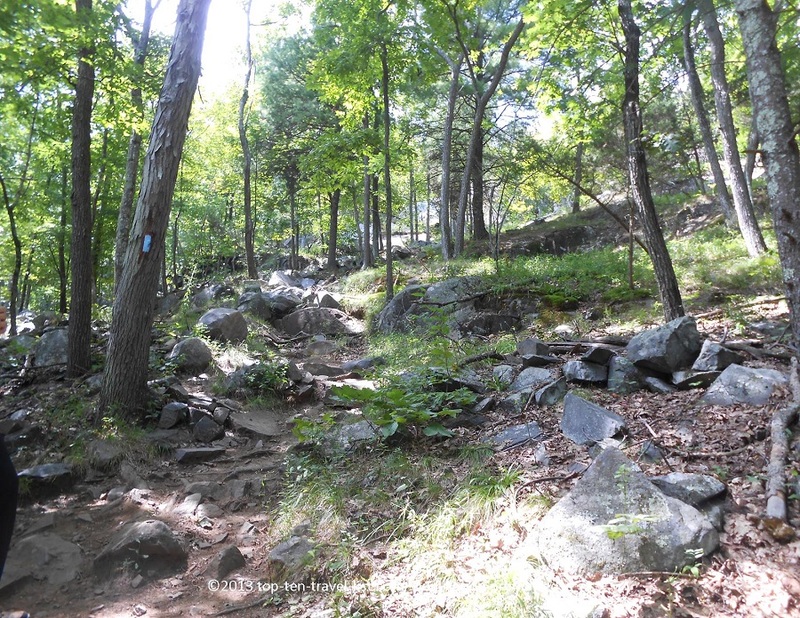 Next, we decided to hike a portion of the popular “Skyline Trail,” a 9 mile hike with scenic views, steep hills, and rough terrain. 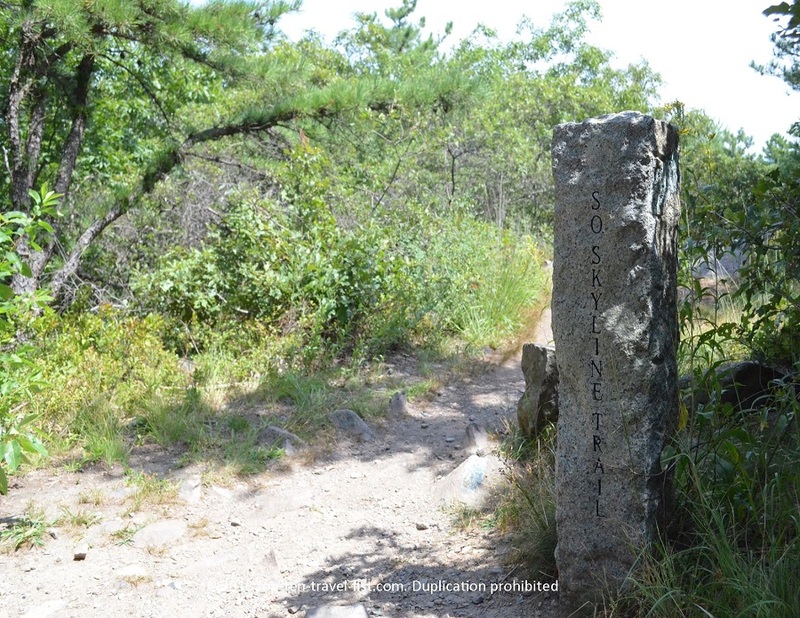 The path is well marked unlike some other hikes where you aren’t sure which direction to turn.